The Biomimicry Switzerland team is involved in a number of local and regional initiatives, both independently and in collaboration with other organizations. Our projects are designed to accelerate the education, development and practice of biomimicry in Switzerland and demonstrate the viability of applying biomimicry to unique challenges in our community. They also serve as catalysts to build the capacity of both Swiss and international communities to learn and practice biomimicry across various sectors of society and economy. Successful biomimicry businesses now reflect nature’s successes in a variety of products from Velcro fasteners to fast vehicles. While the field is just emerging, in 15 years biomimicry could contribute $300B [in 2010 dollars] annual U.S. gross domestic product (Dr. L. Reaser, PLNU, 2010). 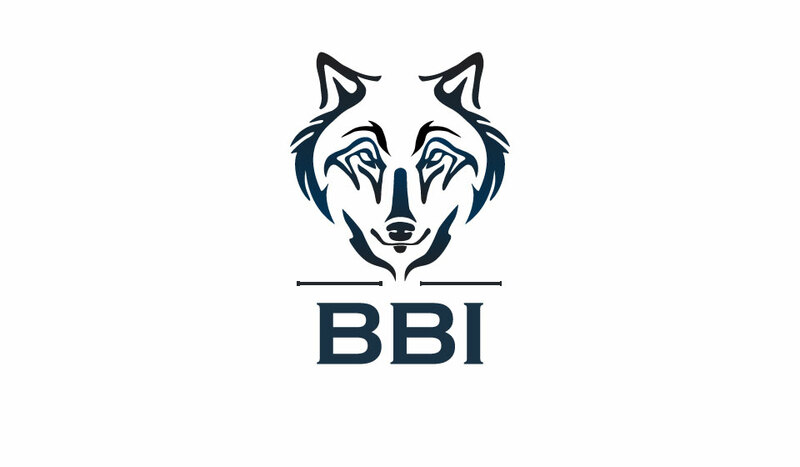 Biomimicry Business Intelligence™ provides economic and financial research reports, in-depth market and product analysis for the financial community and government institutions. The first series of biomimicry business case studies and market trends reports are available at: Biomimicry Business Intelligence. Applying nature’s models and principles to human problem solving consistently delivers elegant ways of achieving both economic and environmental goals. Nature’s successes – streamlined structures, highly efficient mechanisms, and zero-waste strategies that are sustainable in closed systems -- are transforming how we think about designing, producing, storing, transporting and distributing goods and services. Worldwide, biomimicry is gaining central consideration in ambitious projects including city planning and high-speed rail. To keep pace with population growth in the next 15 years, innovative jobs creation for 600 million people is urged by international analysts, and biomimicry is noted for its economic potential (2013 Development Reports by Kauffman Foundation, UN and World Bank). Venture capitalization of biomimicry businesses will secure this innovative sector’s global economic growth and profitability to investors. Biomimicry can be applied to products, processes, or systems. We focus not only on emulating nature's genius in the design of investment products and processes, but also in the design of the financial system itself. How would nature design a financial system? The best answer we have to this question so far is: community credit (see "bio-credits" below). That said, biological design can inform financial architecture at all level from community credit to global finance policy. Researchers from the Bank of England and the University of Oxford, for example, designed recommendations linked here for the decentralisation of risk management strategies in banking regulation by studying the connections within food webs and how viruses spread through networks. Finance is a complex adaptive system, and the natural world is the ultimate authority on designing complex adaptive systems that are regenerative over the long term within the operating conditions of this planet. There is much to learn from living systems to help monetary and financial architects achieve the same qualities in our financial system that we so admire in natural systems. Biomimicry Switzerland is evolving the discussion of how to make our financial system function as if it were an organ of ecology. We work with the Bio-credits Working Group of the Biomimicry Global Network (BGN), which is designing and implementing a long-term "self-funding" strategy for the global biomimicry community. The strategy is premised on gradually shifting the weight of our economic dependence out of bank credit and into community credit to the extent that we can over time. Community credit is the model of exchange that is most consistent with biological design principles, or the design of mature biological systems. The video to the right provides an overview of community credit from a biomimicry perspective, an explanation of our long-term "self-funding" strategy, and a demonstration of the Biomimicry Exchange Network (BXN) (http://biomimicry.communityforge.net), our first prototype of a mutual credit facility for this community. Biomimicry Switzerland administers this facility on behalf of the global network. Ethical Biomimicry Finance™ (EBF) is an investment methodology and due diligence framework for identifying biomimetic technologies and innovative companies that are accelerating the development and commercialization of biomimietic designs. Biomimicry Switzerland is an active EBF Advisory Board member and supports the development and adoption the EBF framework in Switzerland. After decades of research by Hazel Henderson and Janine Benyus and deep collaboration between their two companies, Ethical Markets and Biomimicry 3.8 developed detailed criteria for identifying, working with and investing in companies that adhere to the Principles of Ethical Biomimicry Finance™. This is a turnkey guide for investors in vetting companies based on the biological truth that the human species is interdependent with all other life forms on Planet Earth. Life’s Principles, strategies universal to all organisms, should provide the basis for all production and exchange of goods, community structures and services. This includes the design of monetarysystems, investments, banking, financing, bartering, reciprocal exchange, payments, crowdfunding, compensation and unpaid gifting, sharing, cooperatives, provision of public goods, infrastructure, collective health, education and life-supporting services. Read the full public Statement on Transforming Finance Based on Ethics and Life’s Principles. The Ethical Biomimicry Finance™ investment methodology is a trademarked brand, available on license to asset managers, investment companies and institutional investors worldwide. For more information, contact Rosalinda Sanquiche at office@ethicalmarkets.com. Strengthen SMEs in the field of manufacturing through sustainable innovation based on biomimicry. Together with Biomimicry peers in Netherland, Belgium, France, UK, and Germany we are applying for an EU fund to establish a permanent co-creative platform for knowledge exchange and collaboration among manufacturing SMEs, biomimicry experts and leaders in sustainable development across the whole north-west Europe region. We are facing tremendous challenges when it comes to climate change and resource depletion. Recently, a framework of Sustainable Development Goals has been ratified to help businesses to become more sustainable. While many large corporations have innovation departments working on this topic, many SMEs struggle to leave unsustainable pathways and implement these SDGs. Biomimicry (innovation inspired by nature) is recognised as a leading framework and methodology for realising today’s aspirations for sustainable growth and innovation and help SMEs innovate in a sustainable way. These tools have been applied in a wide diversity of Fortune 500 companies and biomimicry thinking contributed to their business success. There is substantial untapped potential in biomimetic approaches to problem solving for manufacturing processes such as reduction of material use, decreasing waste and CO2, improving efficiency and collaboration with local and transnational partners, to name a few. The resulting platform enables the realisation of sustainable innovations emerging from the intersection of biology, technology and society that put manufacturing SMEs in a stronger economic position within Europe. Biomimicry Switzerland is collaborating with Swiss Federal Institute of Technology in Lausanne. The ultimate goal of the partnership is to educate and inspire students and faculty to integrate biomimicry as a viable approach and methodology into design to create, develop and commercialize truly sustainability solutions. Fusebox is an interactive platform where students can propose ideas on a given topic. Biomimicry@EPFL used Fusebox to create an opportunity for student to address the challenge of food security in a design contest called “Biomimicry: Nature has the solution”. The contest consists in addressing a so far unsolved problem by getting inspiration from nature. The Fusebox challenge enhances students’ creativity and empower them to design sustainable and smart solutions whatever their field of studies. This process will help identify and select the best innovators to bring on board for the real contest the Biomimicry Design Challenge organized by the Biomimicry Institute in 2015,2016, 2017 and 2018. In partnership with the Kovac Family, Biomimciry 3.8, Biomimicry NL, and Biomimicry Switzerland are seeking funds to begin the pre-study to explore and investigate nature’s well-adapted strategies to create lighting. The world’s first (and still best) fiber optics, photonic crystals, and LED Bragg refractors were invented by marine sponges, beetles, and tropical butterflies. For the hundreds of millions of years, life has been generating, amplifying, and transmitting light economically and efficiently. By learning from nature’s approaches to create illuminations, we can apply these strategies and develop more sustainable human approach to lighting. The commercial and residential building sector accounts for 39% of carbon dioxide (CO2) emissions in the United States per year, more than any other sector. Most of these emissions come from the combustion of fossil fuels to provide heating, cooling and lighting, and to power appliances and electrical equipment. By transforming the built environment to be more energy-efficient and climate-friendly, the building sector can play a major role in reducing the threat of climate change. Lighting is a significant energy user in residential, commercial and industrial building, but is also critical to occupant safety, comfort and productivity. Researchers are constantly working to develop lighting products that produce better light, using less energy. Lighting accounts for approximately20 percent of all electricity used in the United States and up to 40 percent of electricity used in commercial facilities. In the pre-study we will make use of Biomimicry Thinking (framework to apply biomimicry in the design) and the Biomimicry Innovation Process which includes 4 main steps in the design process: scoping, discovering, creating, and evaluating. Following the specific steps within each phase helps ensure the successful integration of life’s strategies into human designs. In each of the steps we consciously integrate Biology into our Design; which makes it different from any other design or innovation process. Working Group 2: Structures and materials. In 2017 Patrick Baumann, Managing Partner translated ISO 18457: 2016 Biomimetics - Biomimetic Materials, Structures and Components from English to German. Biomimicry Switzerland is proud to support the Global Ecovillage Network in its approach to bottom-up, locally adapted, decentralised community innovation and especially on communicating the relevance of ecovillage design to our evolutionary process as a 200,000 year-old biological species. Broadly speaking, ecovillages are the model of social organisation most closely reflecting Life's Principles, or the universal organising principles of natural system design. The Global Ecovillage Network provides a nature-inspired, life-friendly way through our current evolutionary knothole, mimicking strategies that have thrived on Earth for 3.8 billion years. Biomimicry Switzerland participates in the Green Phoenix international ecovillage design process, which takes place at the Schweibenalp Centre for Unity every autumn. In partnership with Biomimicry Columbia and Biomimicry Yucatan, Biomimicry Switzerland works on the development of a framework to facilitate the translation of existing biomimicry teaching materials (e.g. the Biomimicry Resources Handbook, and exercises) in a number of foreign languages. Initially, the teaching material will be translated into French, and our long-term goal is to expand this methodology to other languages including German, Portuguese and Spanish. The team is in discussion with the Biomimicry 3.8 Group on how to implement this initiative effectively.